In 2013, Green Map System created a detailed guide for maximizing social reach and sharing the impact of Green Maps using social media. 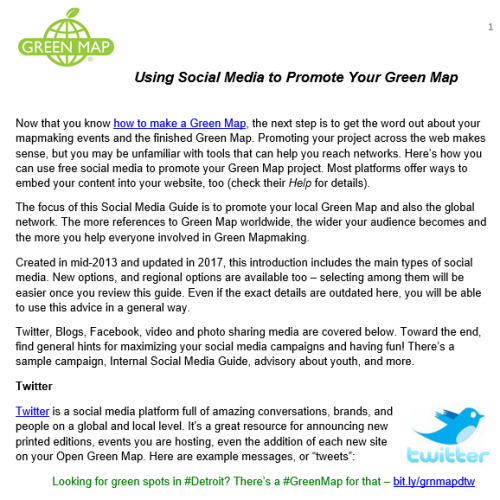 Updated in 2017, these guides provides information specifically on promoting events, using Facebook, Twitter, video sharing, and more to effectively share your Green Map to its local and global users. Check out our Social Media options, too!